Welcome to the land of the giants! Every year we harvest a variety of color phase bears; blonde to cinnamon to chocolate to black! Our average bear is 7ft. We hunt from tree stands & spot & stalk. These massive creatures are amazing to watch. We are very selective on the size we harvest. Bring your Tract binoculars to observe their every move!! * Accomdations & homemade meals at our lodge & or tent/trailer camp. *Gratuities for guide & cook. *Accommodations before or after hunt. **Be prepared for the weather. 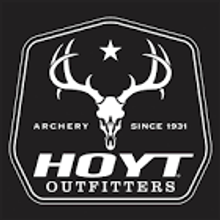 * We will try to customize your hunt to make it the most comfortable & successful for you. *We will have a guide sit with you the first night to help you judge the size of bears, if you are a new bear hunter. * Please be prepared for the weather. We can have very cool weather in the morning to +20C to light snow to rain in the spring. Please check 7 day outlook before you pack! *Washer & dryer available for use. *High speed internet & satellite tv @ lodge.